After confirmation of the Chapter 13 plan, it sometimes happens that the debtor is not able to make the required plan payments. 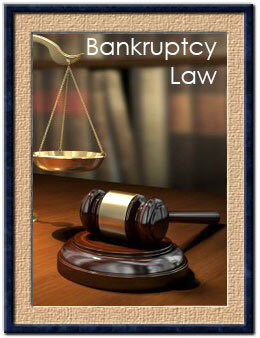 The debtor may lose his job, have his hours reduced, or have new, unexpected expenses. Under these circumstances, the debtor can ask the court to modify his plan to reduce the plan payment, or to extend the term, based on the changed financial circumstances. Under Bankruptcy Code Section 1329, the court is permitted to approve the modification, assuming that otherwise the requirements of confirmation continue to be met. It is also possible for the trustee and/or creditors to ask the court to modify the plan (to increase the payments), but this is not as prevalent as debtor-requested modifications. During the course of the Chapter 13, the trustee will send out to the debtor and his counsel an annual tally of receipts and disbursements, as well as a statement of the claims filed, the amounts of the claims, and the amount that the trustee intends to pay on each claim. The debtor and his counsel should examine these reports carefully. If the debtor does not object to the proposed disbursements within 30 days, then the trustee is free to make the payment. The debtor may find that a creditor has filed a proof of claim that is greater than the amount listed on the debtor's original schedule of liabilities. If it is a "percentage" plan, this will make a difference to the debtor. If it is a "base" plan, it does not matter as much because the debtor's plan payments will stay the same regardless of the claims filed. Written objections to claims can be filed, which become "contested matters", with the Court having the final word on the amount of the claim.